There is a school of thought that social media, and social networking, is imply an egocentric self-promotion tool at worst, and a useful but time consuming marketing tool at best. But can it bring you new legal business? Very often, the initial justification for firms of all types for starting to use social media such as Twitter and Facebook, and indeed individuals, is that ‘everyone else is doing it’. Whilst this mentality is intrinsically human behaviour, it is not sufficient when it comes to benefitting your business. In looking at the pros and cons of social media, it is important at the outset to assess exactly what you want to gain from it; exactly how you want to benefit. There is no doubt that updating your Facebook status once a day or more, tweeting as often as you can, and targeting the topics to your intended audience will help with exposure and awareness, but as to whether it can bring you new business probably depends on the types of clients you are aiming for and their social media activity too. For example, if your clientele tends to consist of members of the public who, say, have suffered a personal injury, then tweeting that you are ‘personal injury specialists’ with a track record of success is likely to generate interest; the public are very social media savvy these days. However, if your clients are generally senior executives at a major multinational then clearly a tweet or Facebook status is unlikely to cut it. Here, strong web presence, face to face meetings and networking are invaluable, and possibly even irreplaceable. After all, the issues for which they will need your services are seldom straightforward and never simple. There is also a school of thought that because law firms offer such personal and potentially life altering services, people only hire lawyers that they can trust. It follows therefore, that some will consider social media and social networking too remote and impersonal to warrant choosing a law firm because of it. It is thus important that your social networking efforts are supported by an authoritative and well-populated website. What is without doubt however, is that regardless of your target audience, the use of social media and social networking is certainly the most modern way to keep yourself out there, in tandem with a web presence, in terms of generating brand and company awareness. People are addicted to the internet, to social media websites and apps, and with the non stop connectivity that our mobile phones now provide, for better or for worse we are afforded an endless stream of information across countless platforms. Is that worth missing out on? What you can achieve on the internet is considerable, and it is probably, on balance, better to be in the mix as opposed to totally absent. 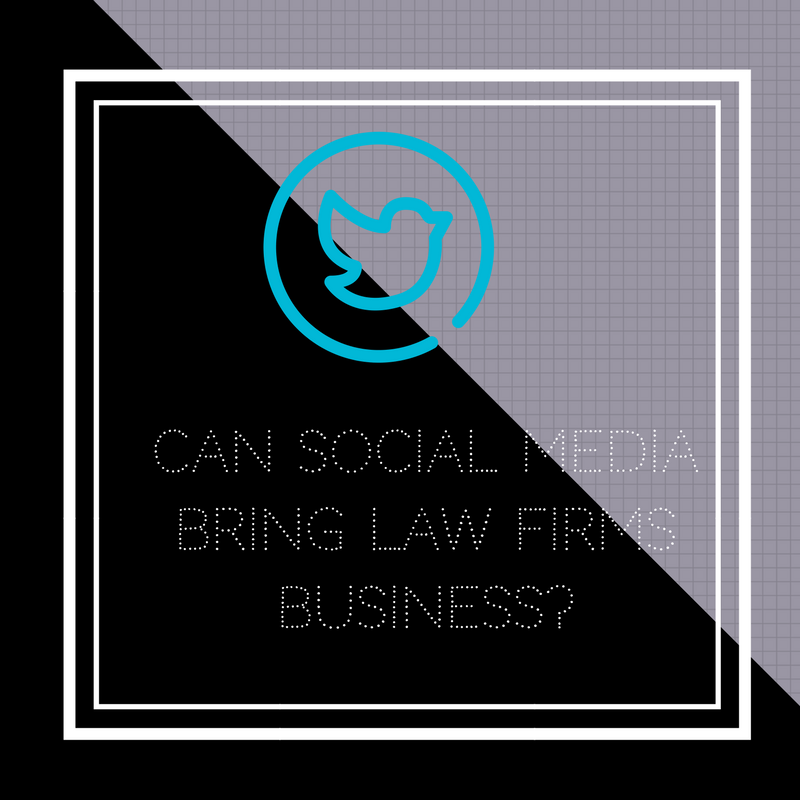 Overall, social media and social networking has many benefits and can really help your business gain exposure and profile, but whether or not it can bring you new legal business is very much down to you.